Watch This Junky Chevy Truck Annihilate A Lamborghini Huracan At The Drag Strip…. Bet You Never Knew How Float Planes Take Off On Dry Land. This Is Intriguing! A Cheese Ball Machine Gun Is A Perfect Way To Mess With The Lactose Intolerant! BRILLIANT. These The Most Mesmerizing Machines You’ve Ever Seen & We Bet You Won’t BLINK While Watching This! 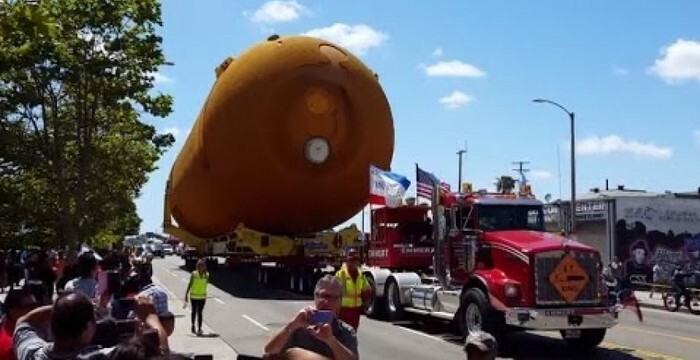 This Is How You Transport A 65,000-Pound Space Shuttle Fuel Tank Through A Crowded City! CRAZY!